Intro to The Food Dudes I have noticed this year that food trucks have gotten more and more popular. I love food trucks so I have decided to do a little series called “The Food Dudes”. In this series I will interview the awesome people that work inside the trucks, creating that marvellous food! This is the first interview of the series! YAY! When you say a burger is decadent and healthy there is only one place that pops into mind. 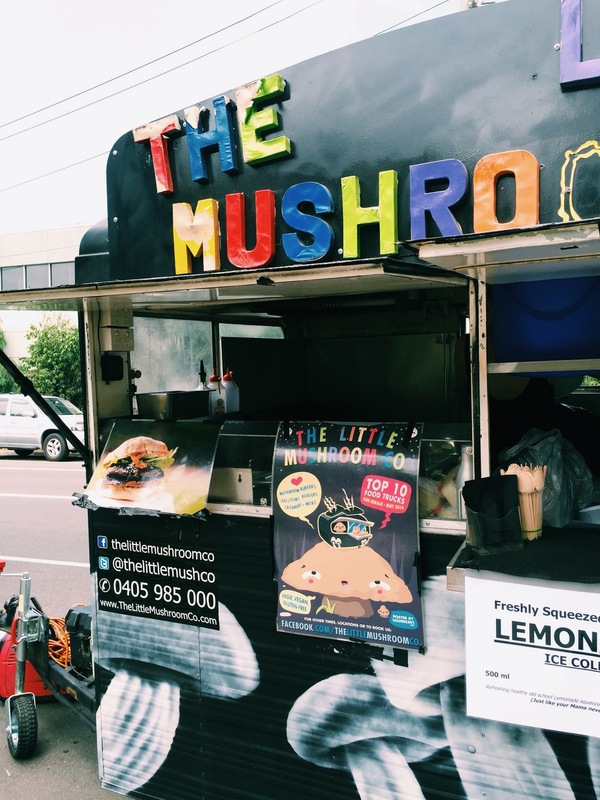 The Little Mushroom co. is a small food truck run by a cool man by the name of Bryan. Bryan first had the idea of creating mushroom burgers after going to America. “My girlfriend and I went to America and decided to do junk food while we were there. I went from being really healthy to very un-healthy in three and a half weeks!” he laughs. “So after that I spent ten months designing my mushroom burger. I had more and more friends asking for it. Then a mate of mine asked me to do ConFest. There were huge lines, and I guess I went from there to a food truck. Bryan has also worked in Italian and Indian restaurants. “Who are your inspirations?” I ask. “Quirky mavericks” Bryan says, “Like Heston Blumenthal because of his molecular gastronomy and Yotam Ottolenghi because he does wonderful vegetarian dishes.” “And what would you say to budding chefs?” “Go for it!” He urges, “Go outside the box and just experiment with things”. Thank you Bryan! You are such an inspiration and I will be defiantly trying your mushroom burgers next time I’m around. Tags: bryan, burgers, fooddudes, healthy, misscamille, mushrooms, series, thefooddudes, thelittlemushroomco-, yum!